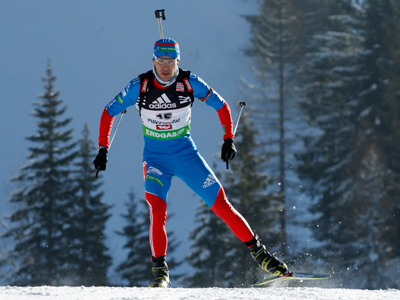 Biathlete Andrey Makoveev has brought Russia its first World Cup medal in the 2011-12 season, finishing second in the 10-kilometre sprint in Hochfilzen, Austria. ­Makoveev shot flawlessly to finish 9.2 seconds behind the winner, Carl Johan Bergman of Sweden, who won his second sprint race in a row. The bronze medal went to went Swiss biathlete Benjamin Weger who was 19.6 seconds slower than the Russian. In the women’s 7.5K sprint, two-time Olympic champion Magdalena Neuner snatched gold, despite announcing her retirement at the end of the season three days ago. The German hit all the targets to reach the finish line in 21 minutes 9.2 seconds and collect her 26th career World Cup win. 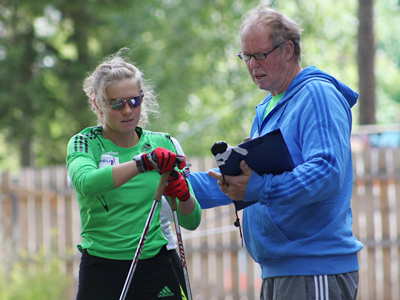 Kasa Makarainen of Finland came second due a single shooting mistake, while the bronze went to Russia’s veteran, Olga Zaitseva. After a medal drought at the World Cup's first stage in Ostersund, Sweden, the Russians bagged silver and bronze in Hochfilzen.